The world’s largest hotel, boasting a total of 10, 000 rooms, may be ready to receive guests as early as next year. Abraj Kudai, which is currently under construction a mile south of the Grand Mosque, is modelled on a ‘traditional desert fortress’. The hotel will feature luxury rooms for wealthy pilgrims, a wing for the Saudi royal family, shopping malls, more restaurants than you could visit in a month, and a lavish ballroom. The current record holder, in terms of total number of rooms, is the First World Hotel in the Genting Highlands of Malaysia. It has 7,351 – and has welcomed more than 35 million guests since 2006. Makkah’s loftiest skyscrapers include the seven Abraj Al-Bait Towers, one of which is the world’s third tallest building at 601 metres. It features a vast hotel, the world’s largest clock face (141ft x 141ft), a prayer room with space for 10,000 people and a five-storey shopping mall. It looms over the Grand Mosque (the most expensive hotel rates, with views of the Kaaba, top £4,000 a night), and occupies the former site of the Ajyad Fortress, an 18th-century Ottoman citadel that was demolished in 2002 despite international outcry. 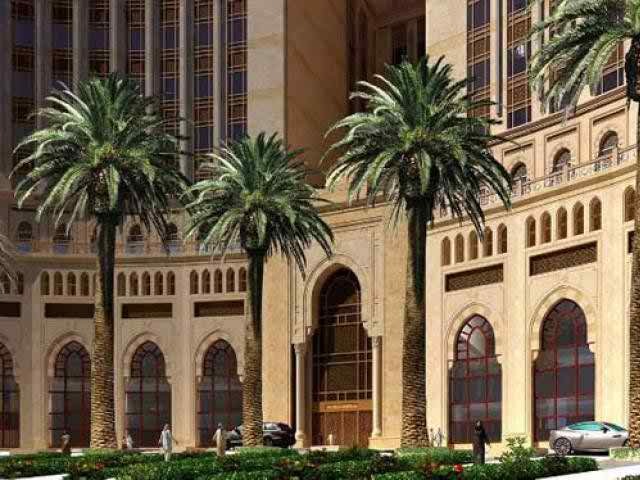 0 Response to "World News: World's largest hotel to open in Makkah in 2018"